Hopefully this is a thread many can engage in and be a part of! 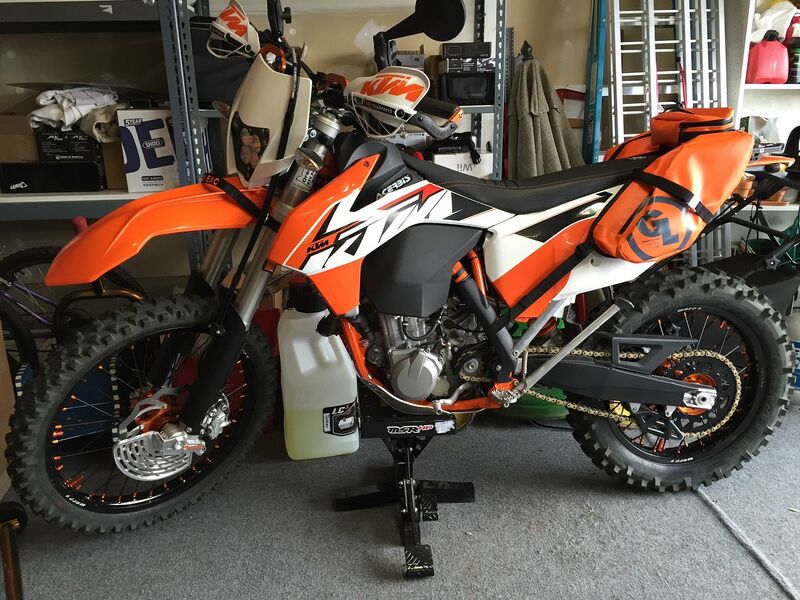 Post up pics of your past & present bikes you've had or have, tell a little bit about them or just post a pic, no wrong answer here folks! I'll start it off with one of my past bikes, 01 929RR, man this bike was a blast. It had a damaged title and needed some TLC, I fixed her up and rode it for a couple years, good times! 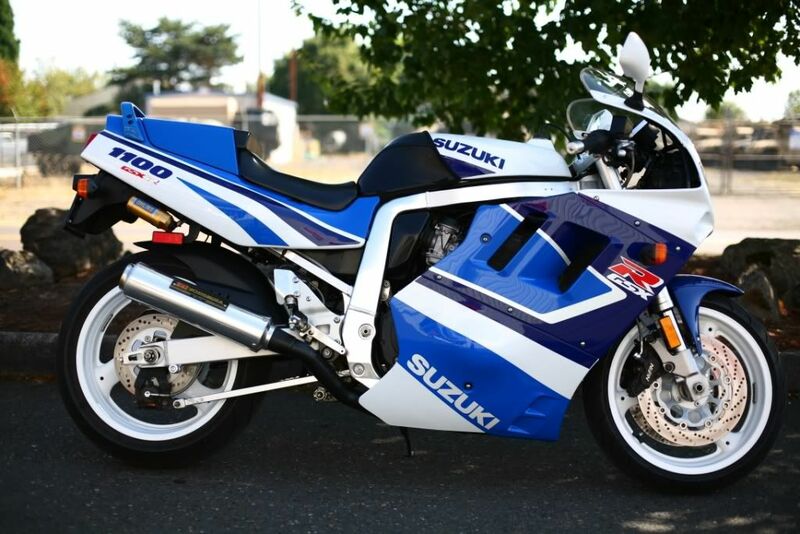 Here's another one of my fav's, 91 GSXR1100. This one I bought down in LA, one way plane ticket PDX to LAX, plan was to buy and ride it home, made it about a 3rd the way, had mechanical issues, had to rent a Uhaul and load her in the back and drive it home. Very challenging finding parts for these old girls now days, pretty much only source for parts is forums and ebay. A couple years later finally finished the restoration, she was a gem! Parts were so hard to find I ended up buying another complete bike, just because I got such a good deal on it, drove to Idaho and bought the other one. this was one of my favorites to ride. narrow bike, fairly light, plenty of torque from the v-twin. this one was surprisingly more comfortable than I thought it would be. lots of fun in the mountains. 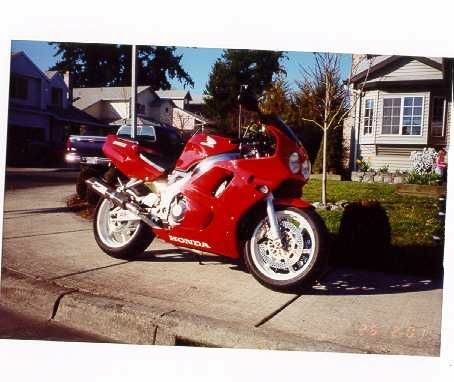 I had this bike in high school, I took my MC endorsement test on it. 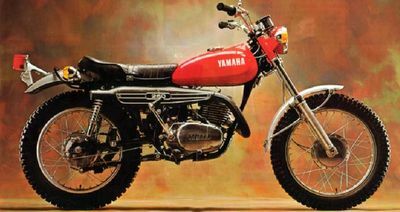 1968 Yamaha... YR2C, if memory serves. 2-stroke twin. Yes, that is a wooden seat I made, the bike had burnt prior to my owning it and there was nothing left of the seat but the metal pan. I also had to make a new wiring harness, and I repainted the entire bike in my bedroom after doing the disassembly and prep in the basement. Then I put the bike together and rode it down the stairs and out the front door. Well, we came a long way from my first bike that my mom flipped out over. And here's the last Triumph I had, a '72 Tiger. I painted that bike red, replaced the mufflers with '69 bullet style, low handlebars and a few other subtle mods, as well as rebuilding the motor and refinishing just about every part on it. I am very sad I can't find any pictures of it completed. I don't think I took any. 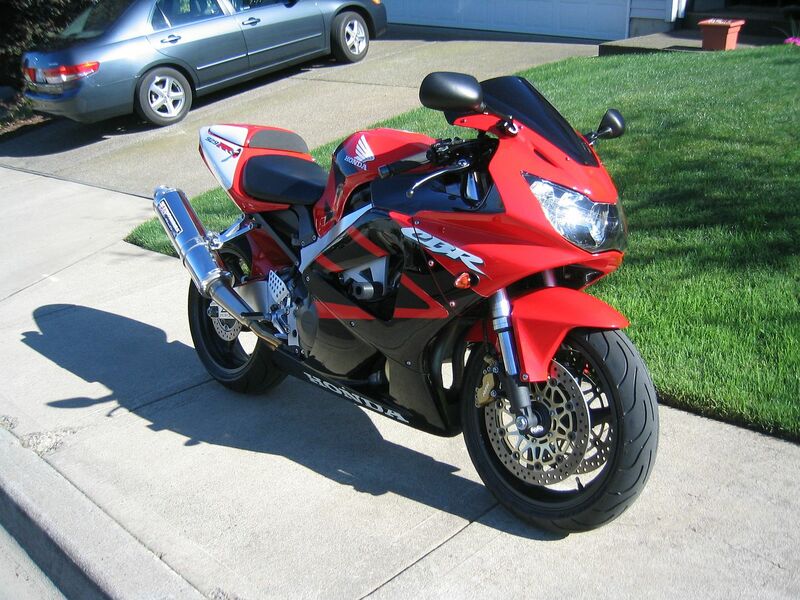 Here's one of my past fav's, 93 CBR900RR, man this bike was a hoot! When I got her she was a wrecked oem white with red/blue, when I rebuilt it she ended up in a full red dress! Good memories with that post, thanks SN! I had an 83(?) 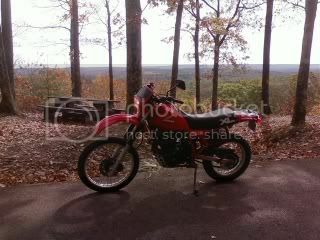 back in the day, Kerker exhaust on it, man that bike was a blast! that one is a Suzuki VX800. it was sold here in the states from 90 to 94, I believe. production ran until 96 in other areas of the world. it was an 800 Intruder motor in a standard frame, but included shaft drive. I bought that one in stock purple color, but it was pretty clapped out. I rebuilt and fixed where needed and had a friend paint it yellow. 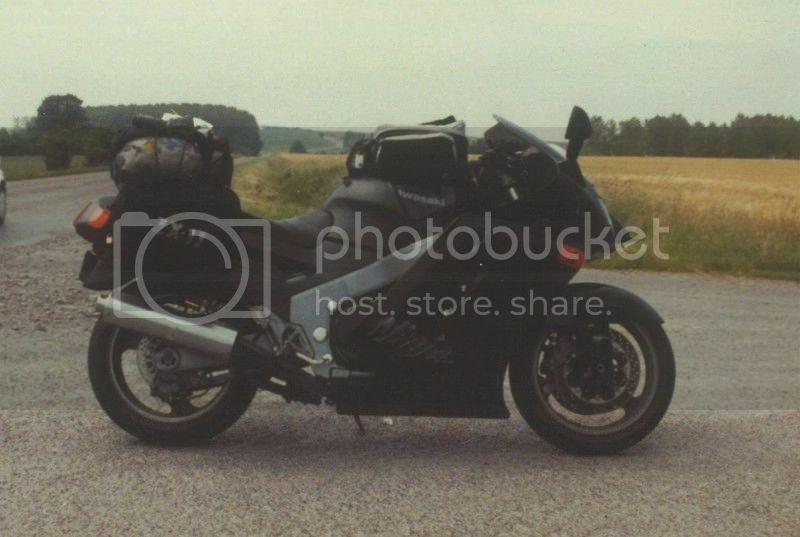 the fairing was an aftermarket one made by Powerbronze. unfortunately, a friend of my son decided it needed to be wrecked. that led to my first track bike, a Triumph TT600. 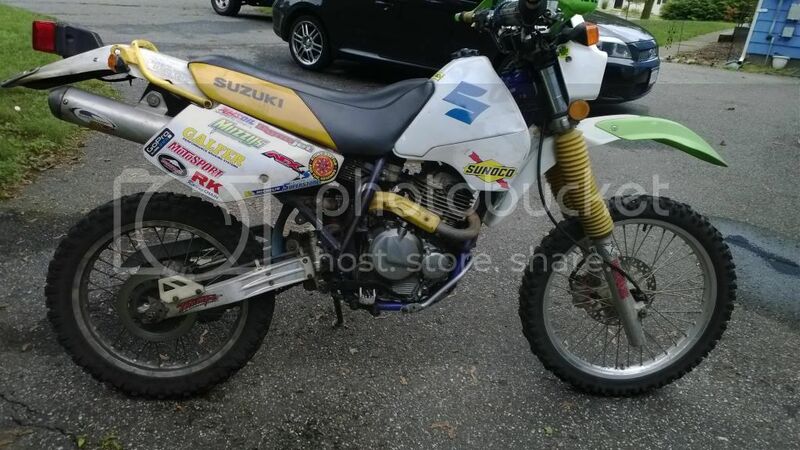 I rode friends dirt bikes when I was younger, and have had a couple dozen street bikes over the years, but this is actually my first dirt bike I've owned. I love how light weight it is, very easy to pick up, and trust me I have to pick it up a lot off road! 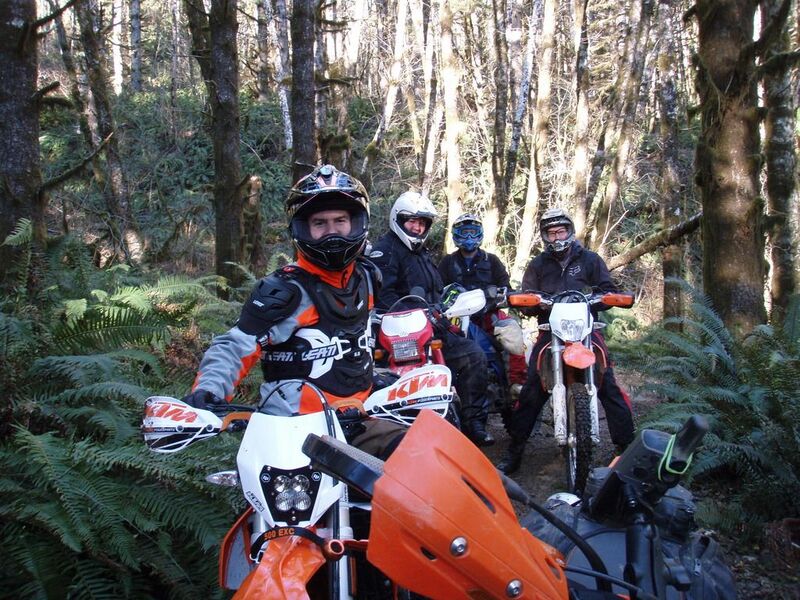 Living in the PNW, having a dual sport or full off-road bike is a great way to get outdoors, get some great exercise, and do whatever you want with friends, not many rules when off the grid! Very cool SR, I don't think I remember those. And with shaft drive, crazy! As I search for more pics of my old bikes I can't help but think how simple things were back then, if you needed a seat, grab some wood and make one! I can think of quite a few bike paint projects etc in the garage of my folks house back then, life was so much simpler pre-internets for farkling yer ride! Here's my 2 Honda V65 Magna's I restored. Have both & ride them regularly. I had a 71 DT250 new. 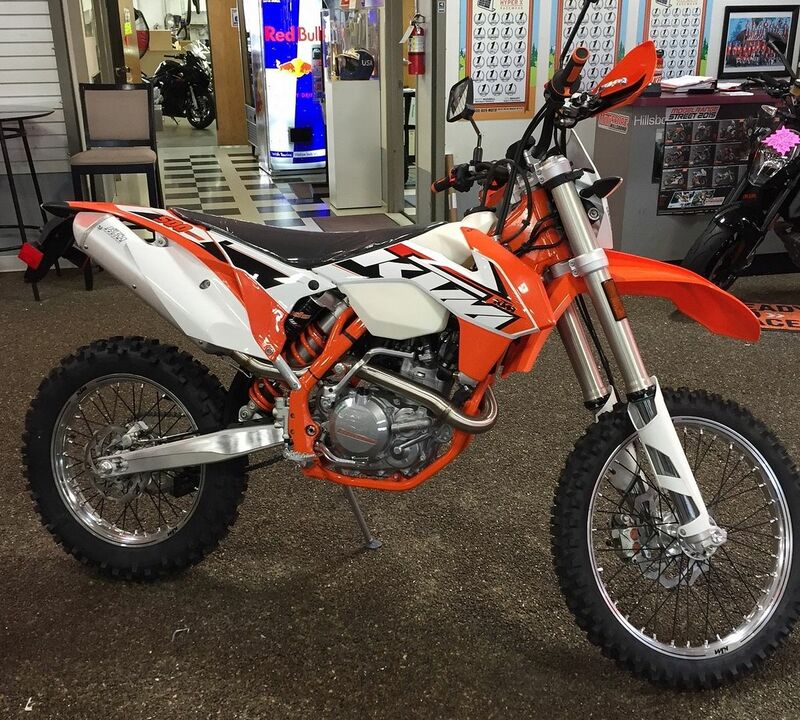 Third bike for me. Was stationed on a destroyer during Vietnam era. Last visited port was Hong Kong before Subic Bay, PI before ship rotating back to San Diego. Asked Exc if ok to bring back mc. Yes, so three of us did. Bikes were hoisted up from pier to 01 exterior level deck next to torpedo tubes and tied to safety cable stanchions. Bikes in crate and sealed in plastic so no salt exposure during transit. Borrows crow bar from machinists mate and used bike tool to assemble front wheel/bars. Rode it down the gangway to the pier. Many a good time riding around the county and out in the desert trails. I had several dirt bikes when I was younger. Much younger, as in beginning40 plus years ago. 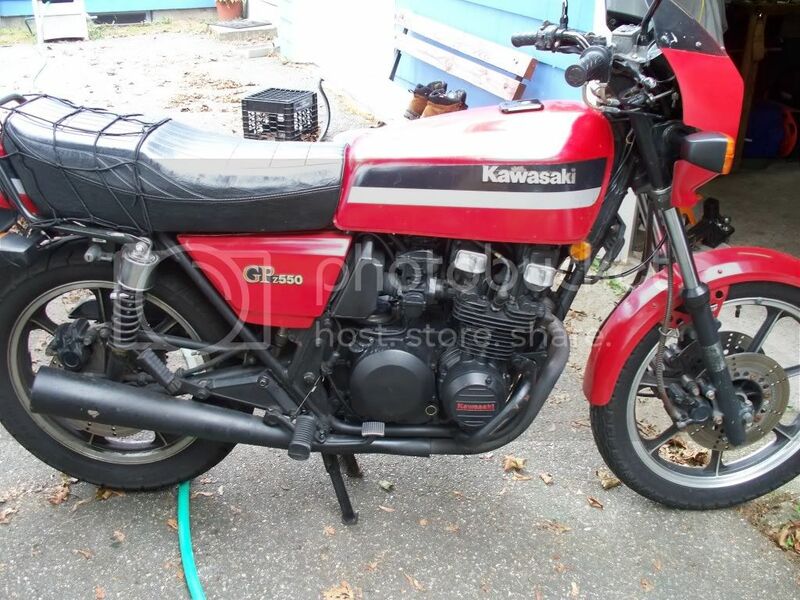 No surviving pictures although I did repurchase my second "real" bike about 30 years ago and have kept it in captivity out in the shed untouched (as in unrestored, which it needs/deserves desperately). I did get it fired up this summer just to see if it would. That ones a '72 (?) Suzuki TS125. 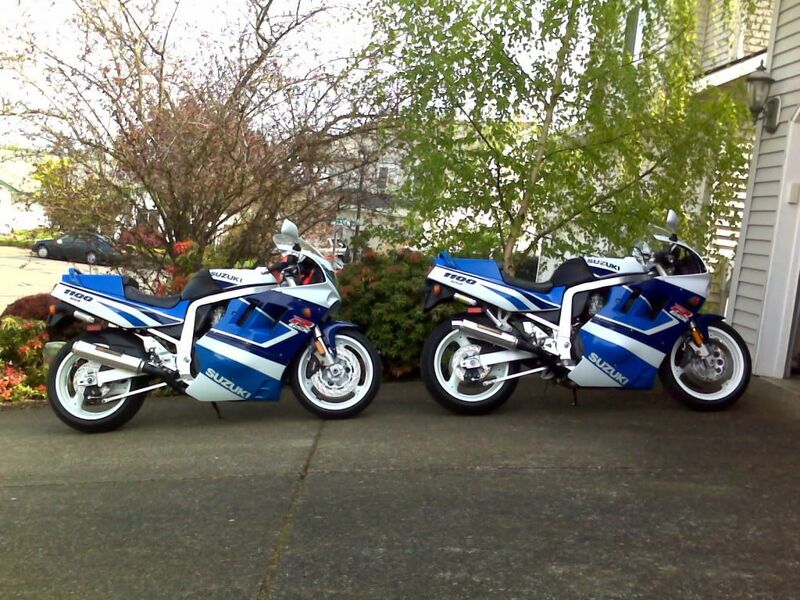 After that there were some Yamaha MXs and an IT175. I never had any interest in street bikes. 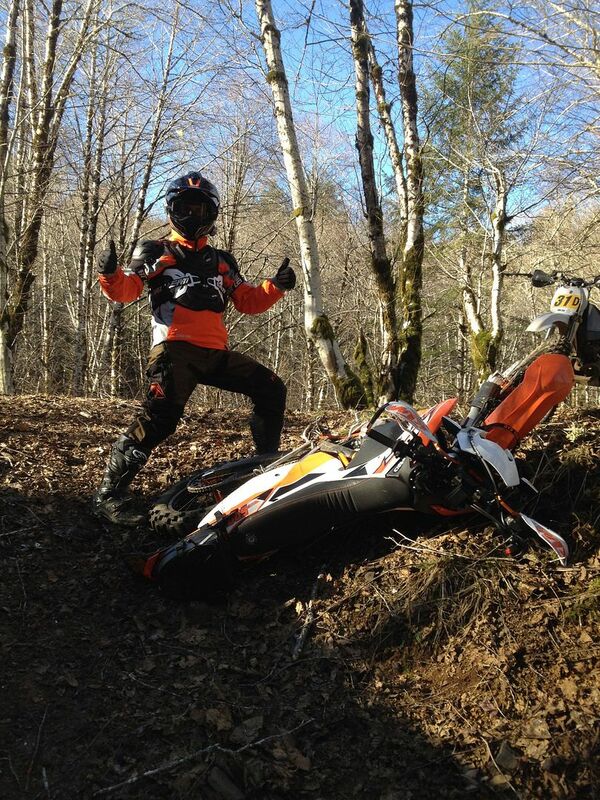 Figured a mistake on a dirt bike could (and did) injure me and that was my fault. On the road someone else's mistake could kill me. Then I got married and started a contracting business and life went on. Most "toys" we're in the form of snowmobiles to help pass the time during the long MN winters. 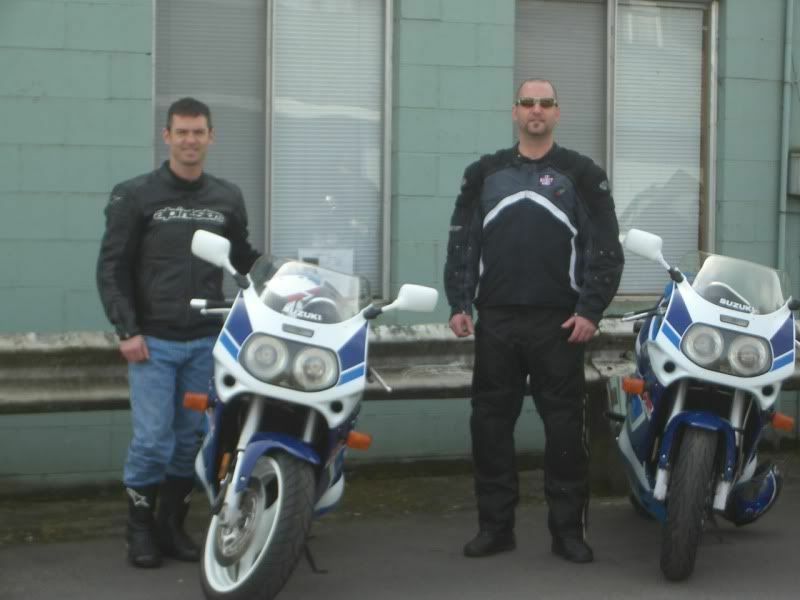 Then a few years ago while attending and swapping at the largest power sports swap event in MN I was starting to notice road bikes. Not sure why, but a browse thru CraigsList found something that looked useful and unintimidating. And under $1000. And only a few miles away. So I contacted the guy and went and had a look. Bought it, left my car there and rode the '82 (?) Honda GL500 home. 175 miles home. On a bike I knew nothing about history wise, old weather checked tires and no current license-me (no mc endorsement) or the bike. Reception at home was less than enthusiastic, to say the least and it meant a round trip drive to retrieve the car. But, I have/had bought dozens of snowmobiles and turned them (sometimes quite profitably to finance other toys/trips), so figured this could just be another such participant. After new tires I enjoyed it. After a couple short rides the wife even enjoyed it. A lot. It was a great beginner street bike. Easy to ride, easy to touch the ground, stable and relatively underpowered. I needed/wanted more, but this one was the one that started me on the path to riding on the roads.